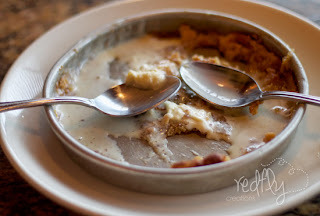 Redfly Creations: Have you ever had a Pizookie?! Have you ever had a Pizookie?! What is your favorite kind of pizza? Do you like pan, thin crust or stuffed crust? How about toppings? Do you like pepperoni, sausage, ham and pineapple or maybe supreme? Friday night is pizza and a movie night at our house. We usually make our own pizza, but every once in a while we enjoy ordering out. 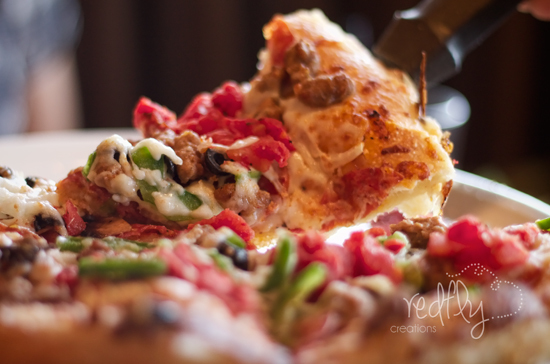 Last week, my hubby and I had the opportunity to try a new "brand" of pizza. This new pizza was at a local restaurant in Mesquite, TX called BJ's Restaurants. Their staff was wonderful! They treated us as if we were royalty. They even made sure we had the best waiter ever, Shaka! He introduced us to the menu and guided us as we picked out our wonderful "Party for Two" meal deal that only cost us $19.95. The deal included a wonderful salad or soup for two, a medium signature pizza, and a Pizookie (more about that later) for dessert. This deal is actually available in your local restaurant until April 29th! Bj's Restaurant has great soft drinks. Dave tried a freshly made root beer, black cherry soda and a cream soda. He was thirsty :) and very impressed. I am a lemonade snob, so I had to try out their strawberry lemonade. I do not like anything that tastes artificial; not even the strawberry syrup some restaurants add. 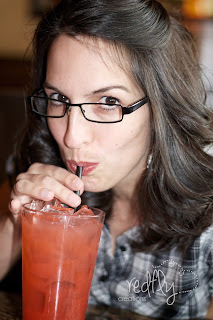 This was, by far, the best strawberry lemonade I have ever had! Delish! 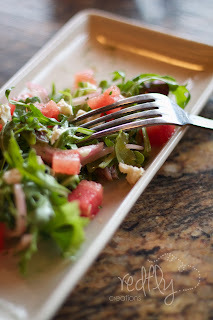 We also enjoyed a "new to us" salad - Watermelon Feta! This salad got a rousing 10+ points. We both LOVED it. BJ's Restaurants pizza is different than any we have ever had. The crust is deliciously light and airy. Because the pizza doesn't feel heavy, we were both surprised that we were full after just a couple of slices. You can see a lot more of their Pizookie desserts on their facebook page and on pinterest. BJ's Restaurants, you will definitely be seeing us again soon! Thank you to BJ's Restaurants and Pollinate Media Group for this wonderful opportunity! Check out BJ's Restaurants on Google+ and Twitter too! 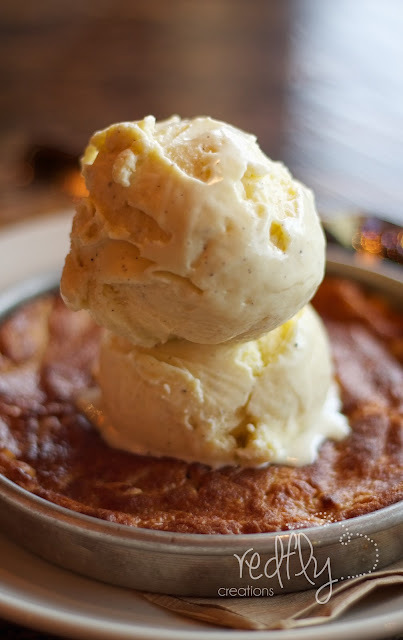 OMG - drooling over that Pizookie! Wish we had a BJs here! I have never been to BJ's but I drive by one often here in Dallas. Oooo! You'll have to try it out! Goshhh!!! I want some!!!! I'm going to Miami soon, I'm going to find out if there is one there!!! So sorry about your loss Jan! Thank you so much for sharing though. I am so glad to hear BJ's Restaurants helping fund CF research! Praying that God will give you extra comfort this Easter season!! yuuuuummmm...huge BJ's fan over here and now another reason to go. Thanks for sharing! Honestly, I have never tried a Pizookie and judging by the photos is must be delicious!! Sounds like you had a great time! I cannot believe you have never been there before, so I am glad you loved it! The Pizookie is TDF!! Your pics have me drooling! I miss being close to a BJ's soooo badly!! I used to LOVE to go there! Their pizookies are my favorite! You made my mouth water just looking at those photos...so jealous! Pinning this to my "lets eat" board. thanks for sharing! Why do we not have this restaurant in Georgia!? Looks so yummy!! I remember BJ's from living out in Southern CA! We loved eating there. They do not have Bj's here in our corner of the Midwest. :( Thanks for the walk down memory lane!